In a recent Nevada car crash, a vehicle drifted into the median and then rolled when the teen who was driving over-corrected the car. According to the Reno Gazette-Journal, two of the three teenage passengers were not wearing restraints, and one of these was killed when he was thrown from the vehicle. Unfortunately, this story is not an isolated event. 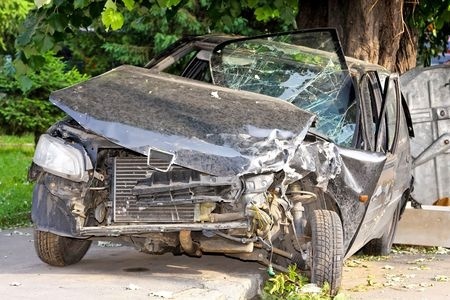 According to the National Highway Traffic Safety Administration, car accidents are the main cause of fatality for teens in the United States. In 2013, 4,333 teen deaths were caused by motor vehicle accidents involving drivers aged 15 through 20. Advocacy groups recommend graduated drivers licenses that ease teens into the driving experience by limiting privileges for younger and less experienced drivers. The Centers for Disease Control and Prevention report that most teen crash fatalities were passengers in vehicles driven by other teens. When drivers 15 to 17 years old are not allowed to have other teens in the vehicle, a car accident attorney in Las Vegas notes that the fatal crash rates are 21 percent lower, according to saferoads.org. Distraction.gov reports that 16 percent of all crashes caused by distracted driving involved drivers aged 19 and younger. This group represents the largest percentage of accidents caused by distractions. Cognitive distractions are dangerous for any driver, but teen drivers have a unique challenge in resisting because of the developmental stage they are in. The part of the brain that regulates attention and emotions is still maturing, and it is much more difficult for an adolescent to remain focused and in control of the vehicle. A car accident attorney in Las Vegas knows that the first six months behind the wheel are critical for teenagers. The actions and reactions that are part of the tasks of driving eventually become second nature, but at the beginning, attention and brain power are required for every move. It takes time and practice to become a competent driver, and the lack of experience often leads teens to overreact to situations on the road. The focus that basic driving tasks requires makes even small distractions much more dangerous. Public awareness of cellphone dangers is currently high. Many might not know that a conversation with a passenger is just as distracting as the same exchange on a cellphone, according to the Foundation for Traffic Safety. According to the Governor’s Highway Safety Association, awareness of the vulnerability of young drivers has prompted many lawmakers to create legislation to curb the number of traffic fatalities involving teens each year. Forty-seven states, including Nevada, have restrictions prohibiting teen passengers from riding with teen drivers. Nevada participates in other graduated driver’s license restrictions, as well, including a 6-month learner’s permit and a nighttime driving restriction. Even though fatality statistics have gone down, it is still critical for parents to play a role in regulating the safety of their children. Collisions can be devastating for the young person who is driving as well as those who are injured. A car accident attorney in Las Vegas urges parents to talk to their teens about the dangers of getting into a car with another teen.